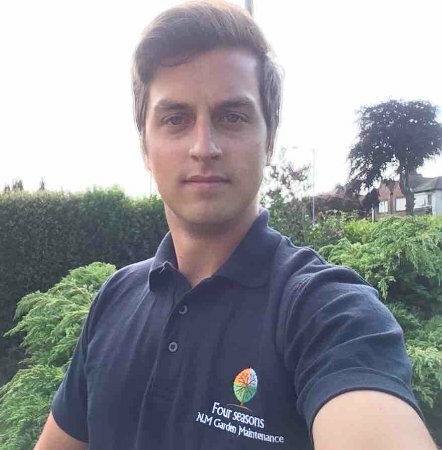 Nathan Millward is the owner of Four Seasons Grounds Management Ltd. He has extensive experience in the gardening trade, and has been trained by the Royal Horticultural Society, so has a practical knowledge of the horticulture world. He has an eye for details and is a perfectionist, so you know that he will leave every job looking pristine. He always ensures that he has been trained in the latest techniques and processes. He recently became licensed to use pesticides amongst a number of other training courses to stay on top of the game. Nathan’s aim in business is to create fantastic working relationships with his clients and other local businesses in the community. He wishes to maintain a reputation of trustworthiness, reliability and a quality work and service. To find out more about the services Four Seasons provide please click here, and to for enquiries please click here to contact us with your questions and requirements.